Our last blog post about GaN in laptop chargers has been widely spread, read and appreciated (even in the French magazine electroniques.biz). 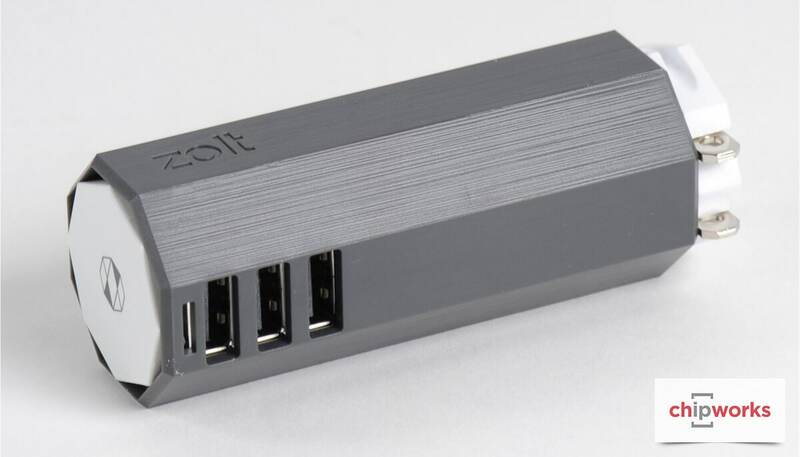 On the other side it left some hypothesis, particularly on the type of devices used in these new FinSix Dart and Avogy Zolt laptop chargers. There was no information at the time. Device makers claimed they were suppliers but nothing could confirm it. We do have one Zolt charger at PointThePower.com but we don’t have the lab to tear it down… Our friends from Chipworks did a very well job dismantling and revealing the inside of Zolt. 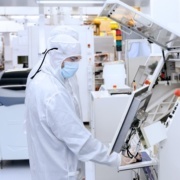 It was a striking news : Zolt contains an Avogy power device with a Cree1 Silicon Carbide MOSFET (repackaged by Avogy). We were sure that GaN was the best device for this application, not SiC. And we are still sure about that. We thought that FINsix and Avogy managed to design their laptop charger using Super-Junction MOSFETs and fast smaller MOSFETs. It appears they did not. What option is left then? 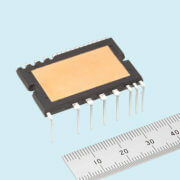 Silicon Carbide MOSFET. 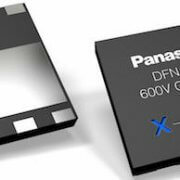 Don’t trust GaN device makers: 600V is not available for production volumes! 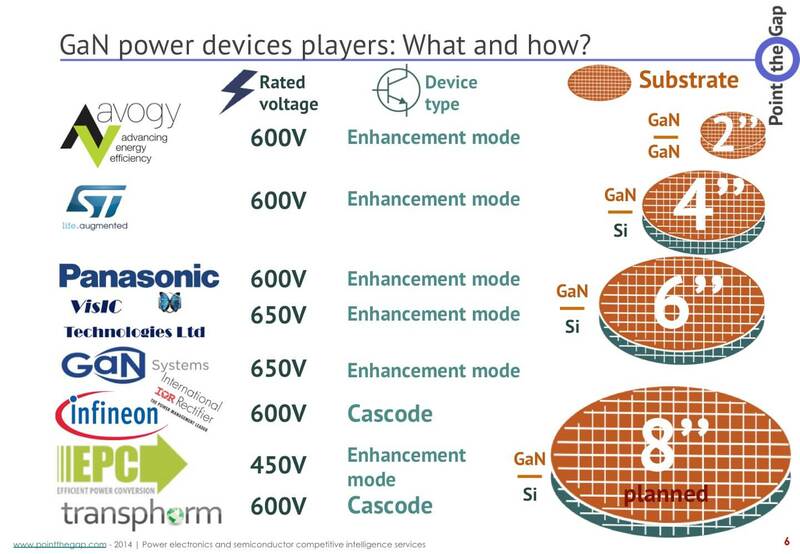 I recently read back interviews with two famous GaN makers stating 600V devices will be available by late 2014. We’re in 2016 now and the same makers do not have it yet. I received an e-mail from a reader last year, pointing at a GaN power device announced in January. It disappeared from the catalog in May. We have no news since then. I’m sure you all have similar examples in mind. So even if the GaN power device market says it’s ready, I want proofs that devices are available for this specific application. We will investigate these proofs in a market report to be released in April this year. 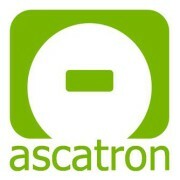 We also have GaN devices teardown reports from our LTEC Corp., Our partner. Avogy could order SiC MOSFETs and package them as flip-chip SMD. It seems devices switching faster than SJ-MOSFET was something required for their charger design. This is something possible with Silicon carbide if you are willing to pay the price. It’s a bit more difficult using GaN, even if you are in a wealthy company reading to lose some money. You don’t need the best charger, you need a working tinier charger… fast! Have you seen FINSix Kickstarter campaign? I don’t blame them, I’m sure they did the work at its best and I know unexpected issues always rise in an engineering project. 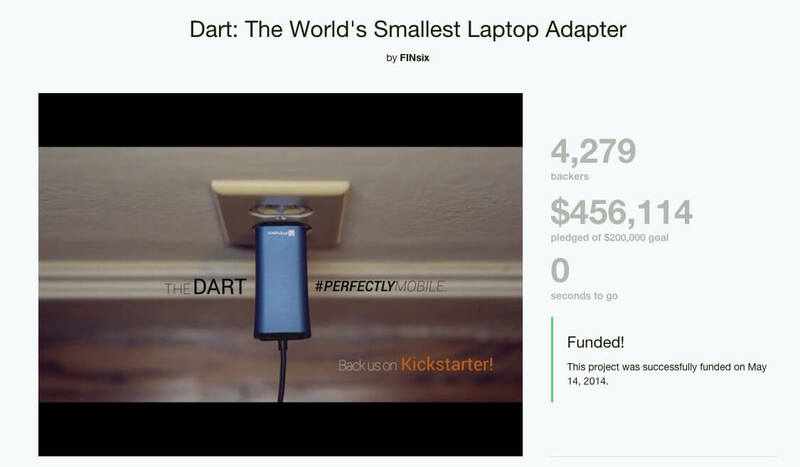 But similarly to other crowdfunding campaigns, they are late in the delivery of their Dart chargers. That makes backers a bit mad. Avogy managed to deliver less late compared to FINSix. They also designed something quite fast to make it available. This is a winning strategy that required to pick available devices: Silicon Carbide was the preferred solution. LED and laptop charger market is about size: not efficiency, not lifetime, and not even price! Yes: not even price. The chargers that we are talking about are expensive. A Zolt is 99 USD, Dart is about the same price. You have to add an extra 20 bucks if you own an Apple laptop. That is more expensive than Apple chargers, which are the most expensive laptop chargers on the market. So, for a third-party charger this is very expensive. And with these 10 extra bucks you can definitely put a few dollars in a SiC device rather than struggling with a Super-Junction MOSFET. A third option would be to go for GaN, which will probably be cheaper than SiC when it’s available. We did miss that in our analysis of the situation. There is also no need for a long lifetime as it’s targeting consumer electronics. These products have a maximum life of 3 to 5 years. Why would the charger last more? Again it’s all about availability. SiC has been around for 15 years. Gallium Nitride is much newer. So expecting GaN to be ready yet as SiC is still struggling to establish is quite optimistic. GaN will be ready and as of the characteristics we see, we expect it to eat a great amount of the market shares from Super Junction MOSFET. You get can get more information by downloading the sample of our market report: We will establish how, when and where is this market report to be published in April. Combine all these reasons together and the best shot if you were designing a small charger using LLC resonant converter topology is either to go for Super Junction MOSFET and optimize cooling like hell… or put one SiC MOSFET die to ease your cooling and optimization design, and be sure you have devices to manufacture you chargers. I have been working as a market analyst for a few years now, and I start to know about the market, about market players and their habits. 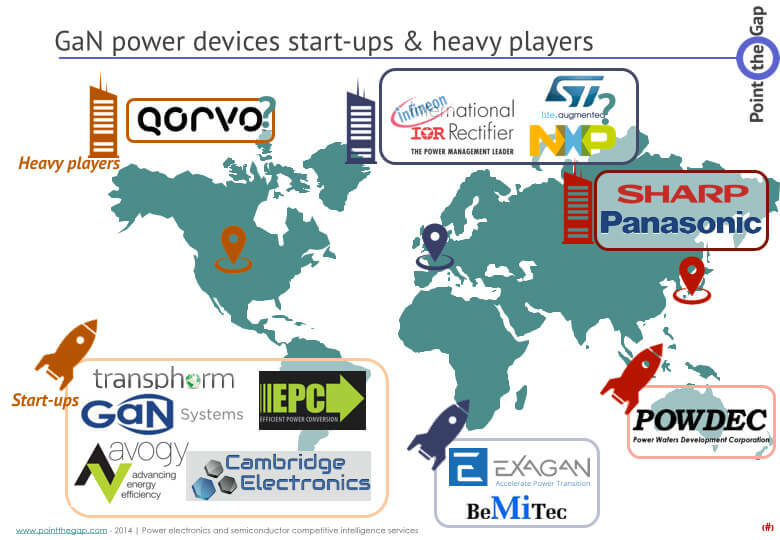 There is a common habit in power devices market and start-up world: They are often optimistic. PointThePower.com tries not to spread too much optimism: because it leads to disappointment. 1: Cree has spin-off its RF and Power business units and merged it with APEI Inc, a company they acquired recently. The new entity is called Wolfspeed. Infineon's offer on Wolfspeed terminated due to "National Security concerns"
I don’t know if you have noticed but sitting next to that Cree SiC is an Infineon Si device. 0.2 Ohm, 600V rated SJ from a decade old series called CP. Wonder what is it doing there? 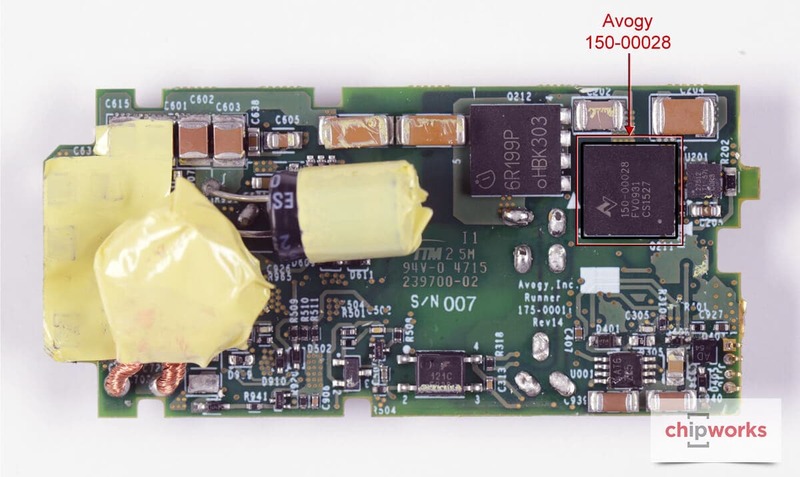 We searched the architecture of this converter to analyze it and add it to our market report “Applications and markets for GaN in Power Electronics”. We believe the topology is based on the one presented in Avogy’s Patent for USPTO US20140185327A1. You will see, there, in Fig. 3, that there are two high voltage power devices for the AC/DC conversion stage (number 310 and 314). They seem to be the devices here on the board: an Infineon SJ MOSFET and a CREE SiC MOSFET, both at 600V. We would be pleased to have confirmation of our hypothesis.